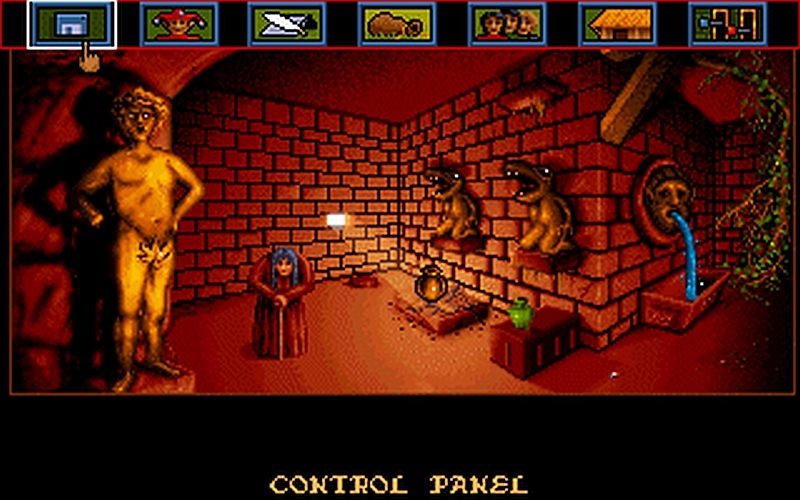 It's time to mention a game that I have been wanting to replay for a very long time, a point and click adventure that is both unique and full of charm and was released in 1992/3 for DOS, Amiga, and Atari ST. That game is ' Ween: The Prophecy ', a very hard to find adventure that was developed by Coktel Vision and published by Sierra On-Line, which has since been listed on Gamesnostalgia as a PC/MAC playable download that you really should be playing right now! Ween wasn't one of the best of Adventure games to most people, nor was it the easiest, but Ween for me was a game that I could never put down, and I thought was far more enjoyable than their other developed game Gobliiins ( Which others loved ). The game had a really dark tone and was played entirely in a first person perspective, and items had to be found and used in the correct order to continue the story. Using the drugs on the scary rat to put him to sleep is one such example.... Overall this is a game not to be missed, but be warned there are many times you will end up frustrated, but don't give up!